Today, the last Sunday in the liturgical year, we celebrate the Solemnity of Christ the King. You’d not have been able to say that 100 years ago, since this particular feast was only inaugurated in 1925 by Pope Pius XI. The context in of the institution of this should be of special significance to us in these tumultuous times. Pope Pius connected the denial of Christ as king to the rise of secularism and authoritarianism. Pius XI witnessed humanistic ideologies and socio-economic and political solutions being portrayed as the new means of salvation in the world. Ultimately, he witnessed a world, and especially governments growing increasingly hostile to religion. Just as the Feast of Corpus Christi was instituted when devotion to the Eucharist was at a low point, the Feast of Christ the King was instituted during a time when reverence for Christ’s and the Church’s authority was waning, when the feast was most needed. This feast is still much needed today as the problems have not vanished, but instead have worsened. Nevertheless, Is it helpful to speak of Christ as King in a world that has no longer any need for kings? With the advent of modern governments, theoretically elected by the people, the few remaining monarchies, with the exception of a handful, have been subjected to constitutional limits that have rendered these once regarded divinely-elected sovereigns as powerless figureheads. Even though the track record of elected governments are subject to much dissatisfaction, the notion of a king suffers a much worse fate. What is our contemporary understanding of kingship? Autocracy? Pageantry? With the current state of the economy, many commoners would be questioning the wisdom of having to sustain the extravagantly costly and lavish lifestyles of the royals, not to mention their sinfully opulent royal residences. Most are merely indifferent, thankful that our present rulers are not inclined towards acts of manic despotism. Our all too human monarchs provide us with a not too flattering picture of kingship – wealth, power, leanings towards despotism, and elitism. Does calling Christ ‘King’ of itself smack of oppression and antiquity? Should the excesses of the human kings force the hand of the Church to drop the title “King of Kings”? And the answer must be a definite “no.” We continue to call Christ the King of Universe precisely because his kingship deferred from that of worldly powers. This was the confusion which Pilate had in today’s gospel. His question to Our Lord, “Are you the King of the Jews?” seems a mixture of curiosity and contempt. To speak of Jesus as ‘king of the Jews’ is to use a Jewish category. The term is dangerously ambiguous, politically explosive. It belongs in the realm of revolt: alternative government, liberation - from the Romans! But Pilate must have suspected that this was no simple confrontation between the power of the State and a failed rebel. Despite his doubts, little did Pilate suspect that this was indeed a confrontation between the notion of worldly kingship and one which is divine. Jesus categorically rejected the first by stating that his kingdom is not ‘of this world.’ This subverted image of kingship, given us in the account of the crucifixion, belongs at the heart of Christian faith and community. Christ is indeed King, but of a different kind. What lay behind the question of Pilate? What was the state of Pilate’s mind when he asked it? The humble attire and lowly appearance of our Lord cannot fail to have struck Pilate. The entire absence of any signs which the world associates with One possessing a kingdom must have puzzled him. Our Lord just didn’t fit the bill. Yet tidings of His "triumphal entrance" into Jerusalem only a few days before had doubtless reached his ears. Who, then, was this strange character who attracted the multitudes, but was hated by their leaders? Who had power to heal the sick, yet had not where to lay His head? Who was able to raise the dead, yet here stood bound before him? Though, Pilate represents the seemingly almighty Roman empire, he emerges as pathetic and weak. The tables are turned. Jesus becomes the interrogator and judge in this trial. The Kingdom of God trumps the kingdoms of this earth. The former is the benchmark, never the latter. Today, the power of the state continues to be used to curtail religious freedom, ironically often in the name of religious freedom, that is protecting the rights of those who may feel offended by our beliefs. We are witnessing the intolerance of tolerance. Governments and courts continue to issue laws and rulings that clearly contravene the authority of God and his laws. Authoritarianism often disguises itself as the dictate of the majority. On the other end of the spectrum, individualism has been embraced to such an extreme, that for many, the only authority is the individual self. The idea of Christ as ruler is rejected in such a strongly individualistic system. Modern man has no place for God. Modern man chooses to bow to not one except himself. 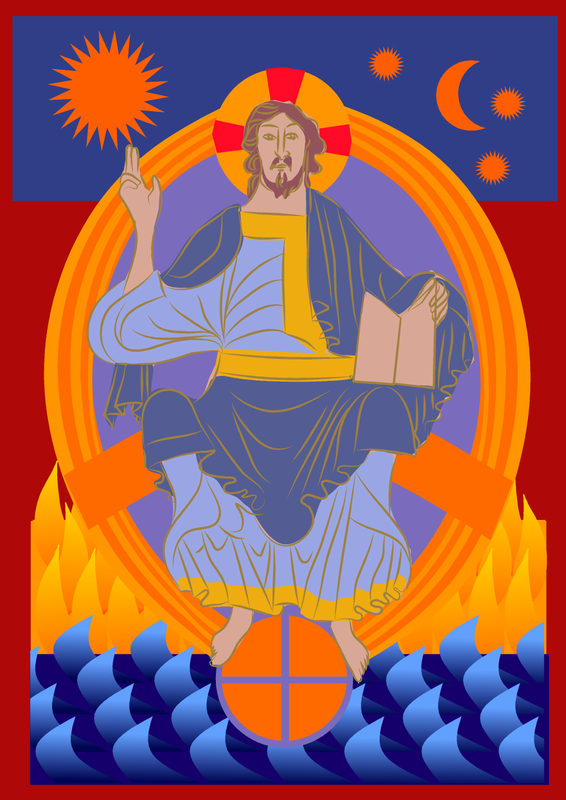 More than ever, we are in need of this image of Christ the King. As citizens, we can never afford to abdicate our shared civic life to a political or economic elite. A nation's political life, like Christianity itself, is meant for everyone, and everyone has a duty to contribute to it. A democracy depends on the active involvement of all its citizens, not just lobbyists, experts, think tanks and the mass media. For Catholics, politics, the pursuit of justice and the common good in the public square, is part of the history of salvation. No one is a minor actor in that drama. Each person is important. In these difficult times, when our allegiance is being questioned because of our perceived obtuseness in refusing to obey clearly unjust conventions, legal rulings, policies enacted by those in authority, we need to restate once more that our citizenship is in Malaysia remains intact and firm, and we should continue to be patriotic and law-abiding citizens. But nevertheless, as Christians we need to remember and to remind others that our citizenship is also in Heaven. We must remember that we are first and foremost responsible to be law-abiding citizens of heaven and its laws. Government is not an invention of mankind. Governance is created by God. All authority comes not from man, but from God. Thus the laws enacted by such authority cannot be law unless they are in conformity with God’s laws. Christ Our Lord is our King. He is the King of all individuals and all nations. He is the final Judge, the Highest Court of Appeal, and he will ultimately come to Judge the living and the dead. Our duty to God and to our nation must thus be this - to serve the common good according to Christ’s law and not just the interest of some according to man’s dictates. Today, our voices must not just reach the rafters of the Church but must resound to the ends of the earth, Our King is not dead! He is risen! Long Live Christ the King!